Great news for all WWE fans especially the lover of legendary WWE star Undertaker. Famous Movie Jackets is back with a striking vest inspired by Undertaker. Our expert designer recreated this vest with all excellence and dedication in an accurate way as your favorite star spotted wearing. 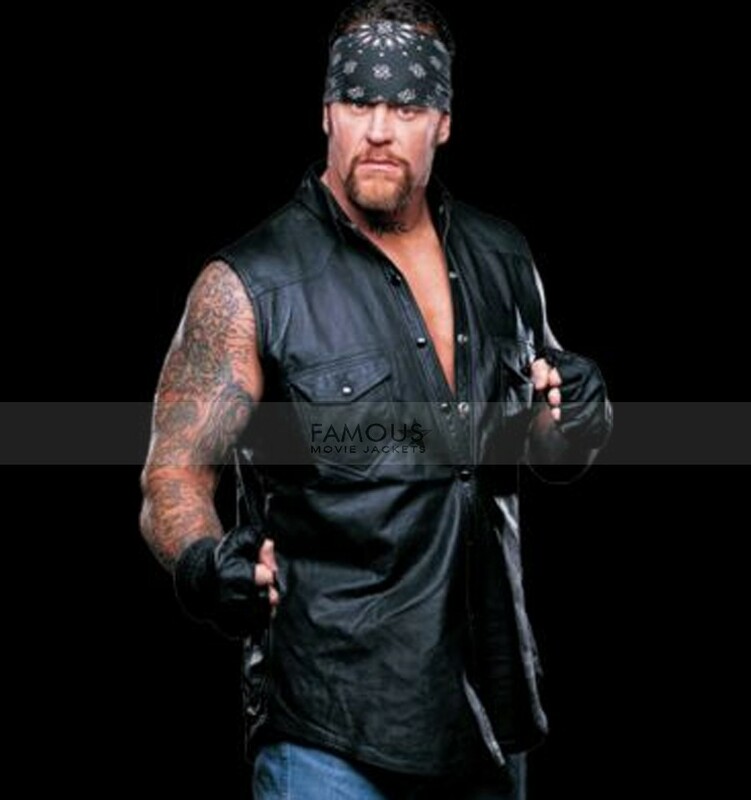 Undertaker carried this way in the most stylish way now stealing his style is not difficult. All you need to just click on put in it into the cart. 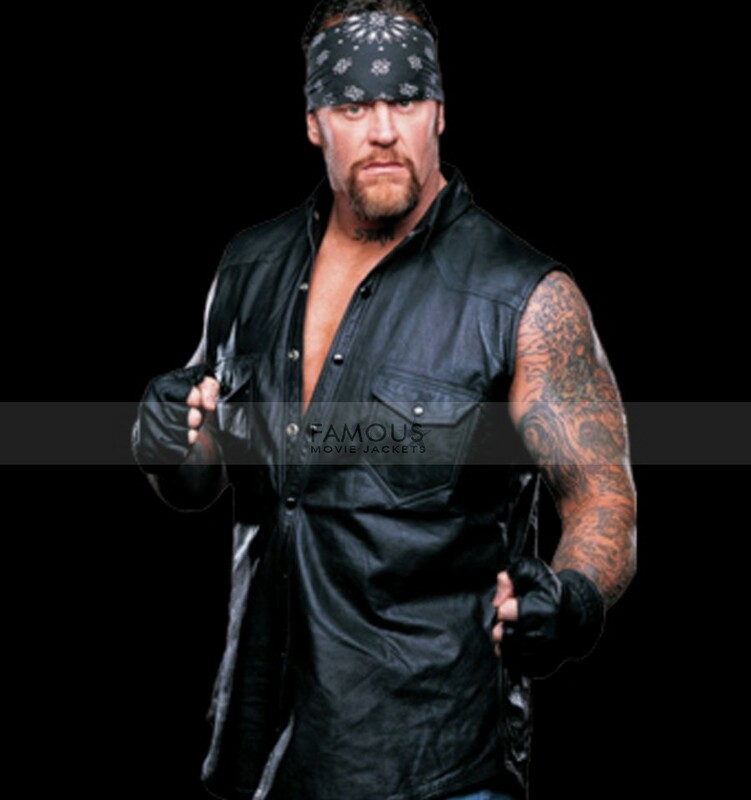 WWE Undertaker Black Leather Vest is made from high-quality leather material externally. While the inner fabric is also soft and comfy. Moreover, appealing features include round collar and buttons closure and are the perfect outfit to have an eye-catching impact as a rider. Pay tribute to your favorite celebrity and shop this hypnotic vest.